It's time for the Home Team advantage! Directors Mortgage is proud to partner with University of Oregon and Oregon State University to create The Home Team. This partnership grew from a desire to support local charities and businesses that help build our communities into a place we are proud to call home. The Duck and Beaver Home Team partnership allows us the usage of the University of Oregon and Oregon State University Home Team marks in addition to in-stadium signage, social media, radio and print advertisement. The goal for this partnership is to bring together three locally owned businesses that help build and support the communities we are proud to call home. Rounding out the first Home Team partnership are Hayden Homes and BedMart. O Heroes allows University of Oregon student-athletes the opportunity to thank fans and the community by volunteering their team for projects such as: Susan G. Komen Race For The Cure, Read Across America and ASL Field Day. Beavers Without Borders offers global service-learning experiences for student-athletes at Oregon State University while exposing them to different cultures around the world. Since 1989, Hayden Homes pride themselves on being driven to provide the highest quality home for the lowest possible cost. This remarkable 26-year legacy began in rural central Oregon, with the extraordinary vision of founder Robert Watson, who endeavored to provide quality, affordable housing that would stand the test of time. Led by CEO Dennis Murphy and President Steve Klingman, Hayden Homes is committed to delivering wealth to their customers, team members, communities in which they build, and the Northwest at large. As a further commitment to giving, Hayden Homes also donates a portion of every home sold to the local community through their not-for-profit First Story, that provides affordable opportunities for families who may not otherwise ever have the chance to own their own home. 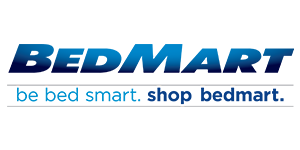 BedMart Mattress Superstores was started by the Stone family in 1992, and has grown to be recognized as the largest family owned and locally operated mattress retailer in the Pacific NW. BedMart contributes their success to the employees who take pride in helping people find a better night's sleep, and has been repeatedly recognized by their employees as a Top 100 Workplace in Oregon. Over the years, BedMart has been a prominent member of the community donating over 1,000 mattresses to local charities and organizations such as the Sunshine Division, Albertina Kerr, Community Warehouse and a Home For Every Veteran, earning them the 2015 Spirit of Portland Award. As their spokeswomen and Beaver Alumni, Elana Stone always says, "Be Bed Smart. Shop BedMart!" Rodda Paint is the largest family-owned paint manufacturer in the Pacific Northwest with offices and manufacturing facilities located in Portland, Oregon, and part of the Cloverdale Group based in Surrey, British Columbia, Canada. Rodda makes or distributes quality paints, high-performance industrial coatings and professional supplies demanded by many professional segments of the industry through 55 full-service store locations and dealers in five NW states (Oregon, Washington, Idaho, Montana & Alaska). Rodda is a service oriented company that builds lasting relationships with customers, partners and vendors, and recognizes the value of long-term, experienced and well-trained employees to become a sustaining for many customer segments.